Larger capacity units also available. 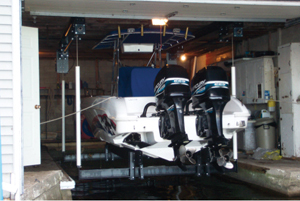 Custom Designed for boats up to 10,000 lbs. • Includes: Motor, cable, pulleys & your choice of slings or cradle.